I run Shimano SPD pedals. I previously used a set of super-cheap Shimano shoes that I bought on clearance like eight years ago. This past summer I bought a pair of Lake hard-sole shoes. Pretty unimpressed. Two lugs have already torn off and the stitching is starting to come loose in several spots. And the toe bed is too narrow. Looking for a recommendation for a softer-soled trail shoe that's more comfortable and usable in hike-a-bike situations. Thanks. Shimano MP66 I love em. . . more skate style than the hiking boot style of the Tahoe. . .
Pearl Izumi X-Alp Low's here, love 'em. I have been using the same pair of Cannondales since 2001, starting to wear out now but still very comfortable. nanner anything new with the '09's? Pearl Izumi X-Alp Enduro's here, also love 'em. 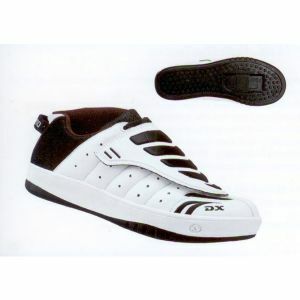 Oakley makes a nice soft clipless shoe and looks alot like a skate shoe. 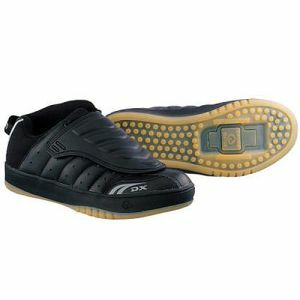 I have the Pearl Izumi X-Alp Lows and love 'em. Really? Interesting. I wear Oakley tactical boots at work and absolutely love them. White would look better without the black. . .